A new campaign build a fountain well in Africa supporting this group has been created. A new campaign take 5 supporting this group has been created. A new campaign take 4 supporting this group has been created. A new campaign Slam/Cover for Warchild charity supporting this group has been created. 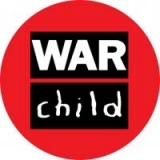 A new campaign Poetry/Slam for Warchild Charity supporting this group has been created.